Today's world is stressful. Modern living imposes stresses and strains on all of us - mental, physical and emotional. More people are turning toward the principal of yoga. Yoga offers you to break free the confines of a potentially damaging lifestyle with a little effort and by focusing on ways of looking after your-self better to increase your vitality, find serenity, and get the best out of every day to enjoy life to the fullest. Yoga provides a natural counter-balance of the stresses of modern life and can help you to achieve a sense of inner peace. Yoga is an easy and enjoyable way of becoming healthier and stronger. Yoga can help improve your physical health by developing a fit and beautiful body, tone your muscle and internal organs, relieve inner tension, reduce weight, and strengthen your bones. 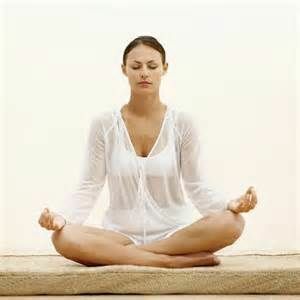 Recent scientific studies have shown that the practice of yoga combined with meditation can have a beneficial effect on a variety of medical conditions, such as high blood pressure, reduce cholesterol and blood sugar level, arthritis, asthma, chronic fatigue, arteriosclerosis, anxiety, stress, and postural problems. The regular practice of yoga can also improve self-esteem, boost your energy and vitality at any age of life, increase your powers of concentration and discipline, and improve heart conditions. In addition, Yoga can also guide you toward relaxation and shows you how to become more balanced, centered, and calm. Yoga also teaches that attaining control over the body is the key to controlling your mind. Using the body as a medium, the breath becomes still, the mind attains peace and the soul moves closer to liberation. Mastering the art of relaxation and learning how to breathe properly are two of the most important aspects of yoga. Once you have mastered these skills, you will experience a very positive, healthy outlook on life. Yoga is a complete living science of life - that originated about 5000 years ago in India. Yoga is a life style for a journey toward physical and spiritual wellness. Yoga's breathing techniques teach relaxation. Using the body as a medium, the breath becomes still, the mind attains peace and the soul moves closer to liberation. Yoga is about feeling good and having fun. The word Yoga is derived from the Sanskrit term yuj meaning "union" of mind, body, breath, spirit and most importantly of the self to the divine. There are five main paths of yoga - Karma Yoga, Bhakti Yoga, Jnan Yoga, Raja Yoga and Hatha Yoga. Each of these has different approaches to life. However, all the paths lead to the same destination - to a union with God and to a sense of one-ness with the universe. Hatha yoga is the one most commonly practiced in the West. Hatha yoga concentrates on the physical body as the way toward self-realization. It teaches us that getting control over the body is the key to controlling your mind. Yoga is a magical fitness program that helps balance emotions, sharpens the intellect, and brings peace of mind. Practicing the physical postures of yoga helps you to open up your body and mind to become more flexible. Many people are drawn to yoga as a way to keep their body fit, lean and flexible. Some are seeking relief for specific physical problems such as stress or backache. Yoga can be used as tool to achieve this and a whole lot more. With regular practice and over time you will feel a subtle change in your life - through toning and relaxing the body and stilling the mind, you begin to achieve the inner peace, which is your true nature. This practice will provide you true self-realization and inner peace. If you can bring your mind and thoughts under control, there are no limits. In fact by practicing yoga you can slow down your aging process by keeping the body parts well lubricated and reducing the catabolic process of cell deterioration. As you age many of you discover aches your body never knew before. Sometimes the ailments that lie submerged in your genes like diabetes or cardiovascular ailment start showing up. You can fight these forces and reverse this tide by doing yoga. Yoga is the best companion you can have as you age. Yoga slyly conspires with nature, making nature work for you in slowing down the aging process. Yoga keeps your body happy, especially in old age. It improves mood, promotes relaxation, strengthens muscles, tendons and ligaments that support joints, contributes in pain relief, strengthens bones, improves blood circulation, enables deep concentration that promotes thinking and fights stress. Most importantly, it enhances self-awareness. Yoga is especially good for people with arthritis because the disease tends to reduce confidence and yoga increases it. Today the concept of aging is changing because yoga exercise dramatically increases cardiovascular fitness, metabolic rate, improves brain function as well as reaction time so much that a fit 60 year old may have a better reaction time than one in their twenties. Yoga works on activating the parasympathetic nervous system by repairing and rejuvenating mechanism of the body. Alice Christensen, founder of the American Yoga Association, Florida writes in the book 'Age Eraser for Women', "So many things you do in your life are energy users. But yoga provides a constant source of energy. When you practice yoga, you actually have more vitality and vigor. I really think it can make you feel younger." Relaxation is an essential part of yoga practice. Most people find it difficult to relax because they have never learned how to do it. You should inhale and exhale through your nose to regulate breathing. Extending your exhale promotes relaxation. We need to learn to let go through deep breathing and relaxation. Doing slow, deep and rhythmic diaphragm or abdominal breathing is simply delivering oxygen fully into your lungs so that your body receives the amount necessary to nourish cells. When you breathe properly more oxygen reaches the lungs and more waste products like carbon dioxide are expelled. These breathing exercises can be done lying on your back or stomach, sitting in a chair or standing upright. The art of total relaxation is a gift that you can offer your-self by learning yoga. The essence of performing exercises is to regulate the flow of life force and improve health. Yoga breathing cleans the system, energizes the body, and increases the strength and vigor. Yoga combined with meditation strives for control of the mind, relieves anxiety, enhances memory and brings out the full potential of the practicing person. Before beginning any yoga postures (asana), it is important to ease your-self into it by warming up the muscle and joints for five minutes. 1. Relaxation: Rest your entire body and release tension in the muscle (yoga exercise and relaxation can restore body's normal energy flow and calm the mind). 2. Exercise: Performed regularly, the yoga postures (known as asanas) help to stretch and tone all the body muscles and strengthen bones, improve circulation, and help to relieve depression by increasing endorphins in the body. 3. Breath Control (known as pranayama): Proper breathing technique increases the capacity of the lungs enabling you to breathe more. It can help to strengthen the internal organs, improve mental clarity and control, and deepen your ability to relax. 4. Well-balanced Diet: A well-balanced diet will boost the immune system, ensure better health, and calm the mind. Thus your body will become more resistant to illness and disease and you feel good. 5. Meditation and Power of Positive Thinking: Yoga promotes positive thinking. It can train your mind to control and lead to self-realization. Any one can practice yoga. You don't need special equipment or clothes. All you need is a small space and a strong desire for a healthier and happier life. The yoga postures exercise every part of the body including joints, muscles, the spine, internal organs, glands, nerves, and the entire skeleton. A yoga mat and a small pillow can be very helpful in yoga practice. However, it is important to find a teacher who is able to provide in-depth instruction on poses, breathing and mental awareness. Under the guidance of an experienced teacher, each person can modify the practice to compliment her own physical and mental condition. The physical benefits of yoga are apparent to anyone who has attempted the discipline or observed someone else doing it. Yoga poses take a body through a range of motions, including sitting, standing forward and backward, inversions, and lying down. Yoga teaches us mindfulness, which other forms of exercise do not, and helps us pay attention to our bodies. Regular practice of yoga postures can improve strength and flexibility, and tone every muscle in the body. The stretching, bending and twisting in yoga increases flexibility of the muscles and joints, and massages internal organs and glands. It increases the capacity of heart and lungs and improves immune system. Yoga also provides calmness, clarity, stamina, mental peace; blood pressure becomes normal, leading to healthier heart. Yoga is good way to help us get in touch with our body. Yoga can help control blood pressure, respiration, heart rate and metabolic rate to improve overall exercise capacity. Yoga can also help those suffering chronic low back pain, general stress, osteoporosis, high blood pressure, joint stiffness and lack of self-esteem. It all results in better protection against heart disease, diabetes, asthma and depression. It also produces counter-hormones, which keep insulin under check. While the physical benefits are all well and good, the greatest gifts yoga brings you are those of strength, awareness and self-love or self-acceptance. "Yoga exercises burns extra calories, reduce fat and balances hormones in the body," says Dr. Marie Schum-Brady, an Arlington, VA doctor and yoga practioner who emphasizes preventative medicine and good nutrition in her medical practice and uses medications only as a last resort. To realize the true benefits of yoga you must make a commitment and find the time to develop a regular practice. Once you start to incorporate yoga into your daily life, it will quickly become an enjoyable and natural habit. The more often you consciously allow yourself to become centered and balanced, the more empowered and successful you will become. Don't forget - your health and happiness are your responsibility. However, the best way to learn is with a teacher, who can give you proper guidance, answer your questions, and help you with the correct postures. You may want to join a class to take yoga lessons. The single most important objective is to practice regularly. Yoga also improves the circulation providing a rich supply of nutrients and oxygen to all the cells of the body. Most significant benefit of the yoga asana is strengthening and purifying the nervous system, the spinal cord and spinal nerves. In addition to physical benefits and self-awareness, another advantage of yoga is the stress relief. Yoga is the first step toward the liberating journey of self-realization. Relaxation is an essential part of yoga practice. This allows the neurological system and the blood circulation to function effectively. As the body starts to relax, certain physiological changes will occur - such as the pulse rate will drop, reduce fatigue, release and expel toxins, and revitalize the entire system. When you start to experience yourself in stillness, you will feel calm and peaceful. The corpse pose (or Savasana) is the most important of all the asana where energy flows freely through our body. The essence of peace comes from within and the aim of Savasana is to relax the body completely that the mind is set free and energy can flow freely. Many people start doing yoga for the exercise but then they discover a lot more benefits than merely fitness. Yoga teaches you how to relax. Hatha yoga emphasizes attachment to the body and Raja yoga emphasizes transcending the body. The fact remains that all yoga is supposed to lead to meditation. Regular practice of yoga will promote a state of mental well-being and physical health. Yoga sessions are designed to maximize vitality and youthfulness, reduce stress, depression, hypertension, improve concentration, and help balance the human emotions. Yoga is an art of total relaxation and you must offer this gift to yourself. Yoga provides a natural counter-balance to the stresses of modern life and can help to achieve a sense of inner calm and happiness. Once you start to incorporate yoga into your daily life, it will quickly become an enjoyable and natural habit rather than a chore. The practice of yoga can provide control of the body and the mind for attaining the ultimate goal of oneness with the universe and God. Many people also use yoga to fulfill the spiritual gap in their lives caused by the fast and stressful pace of modern living. Combination of Hatha yoga and Raja yoga has become very popular with the health conscious people that use concentration on postures (includes the asana, breathing, and meditation). This path is used for achieving control over the body to make it fit for higher goals and improve health. Yoga shows us that happiness is not something outside. We all have it already. We just don't realize it. Yoga provides a higher state, a gradual rise of consciousness and stilling of the mind. The practice of yoga also brings more compassion and caring. The ultimate message of yoga is that happiness comes through control of mind. Yoga can be effectively used as a preventive medicine to slow down the aging process by reducing the catabolic process of cell deterioration and defy aging.